Microsoft to partner with 15 nonprofits in 8 countries to upskill 1.4 million youths in computer science across the Middle East and Africa region. By the next three years, Microsoft wants to impart digital skills to 10 million youths in Middle East and Africa. To reach this goal Microsoft plans to work with nonprofit organizations. Organizations whose mission aligns with its focus on computer science education. Microsoft says “Digital Skills are becoming essential for the jobs of today and tomorrow. These skills can open doors to greater economic opportunities in the work place of the future. Microsoft believes in a future where every young person has the skills, knowledge and opportunity to succeed“. Microsoft will work with 15 nonprofits in 8 countries across the Middle East and Africa region to upskill 1.4 million youths in computer science. 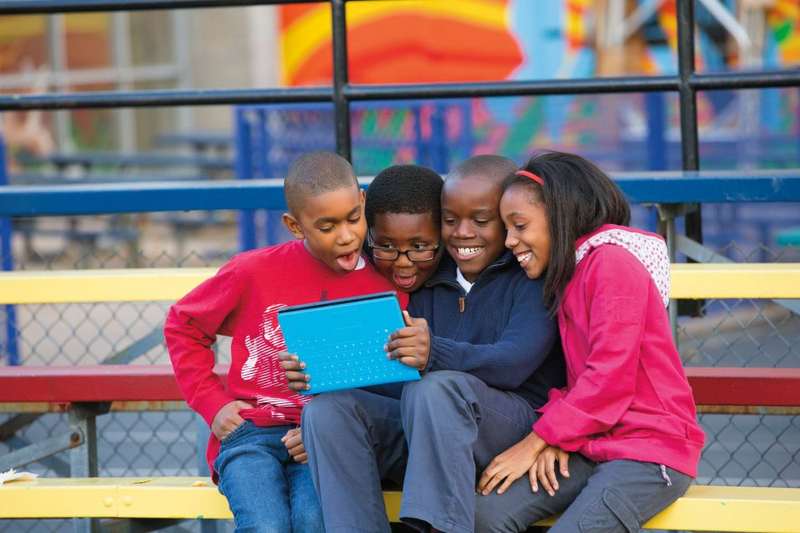 Nonprofits will receive grants through the Microsoft YouthSpark initiative. With a target of being able train 13,000 educators to teach digital skills to youths across the region. Microsoft hopes to reach new goals with this initiative. That 80 percent of the beneficiaries will represent underserved communities and 50 percent female.